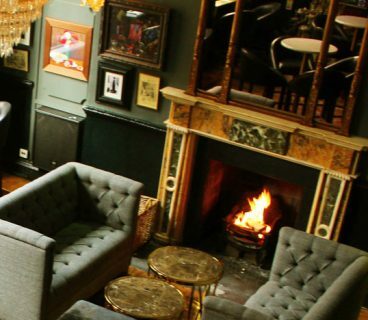 One of the best chefs in Ireland sat down with DublinTown to give you an exclusive insight into his unique dishes. JP McMahon talked us through his creation with the new Heineken Wild Lager Himalayas No.32. It’s a sunny Wednesday, it’s the 4th of July and we’re sitting in the gorgeous upstairs and outdoor patio garden bar of the refurbished Stella Theatre. 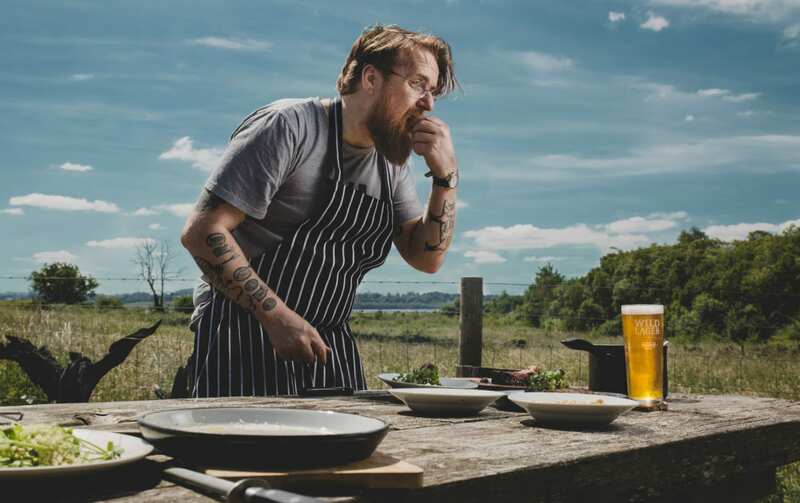 Renowned chef JP McMahon has come home to Dublin to not only cook up a tasty foursome of dishes, well paired with the refreshing and light Heineken Wild Lager, but he also wants to talk to us about all things food. 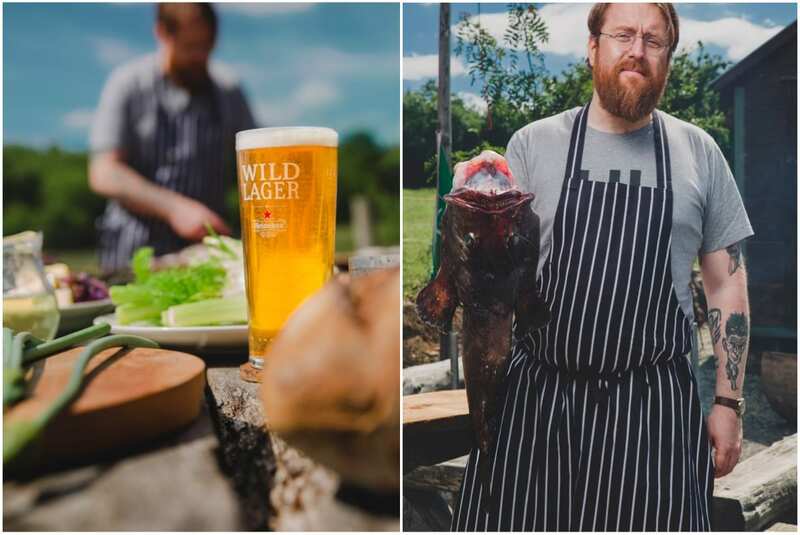 Known for his talents to use wild ingredients very well, the new beer has been used to make monkfish with asparagus and woodroof, as well as goat’s curd with nettles and dandelion oil; while the previous summer release Heineken Wild Lager Patagonia No.41 was used for Galway Bay Irish mussels dish with dillisk, and a hearty rib-eye steak with wild garlic pesto and roasted hazelnuts. 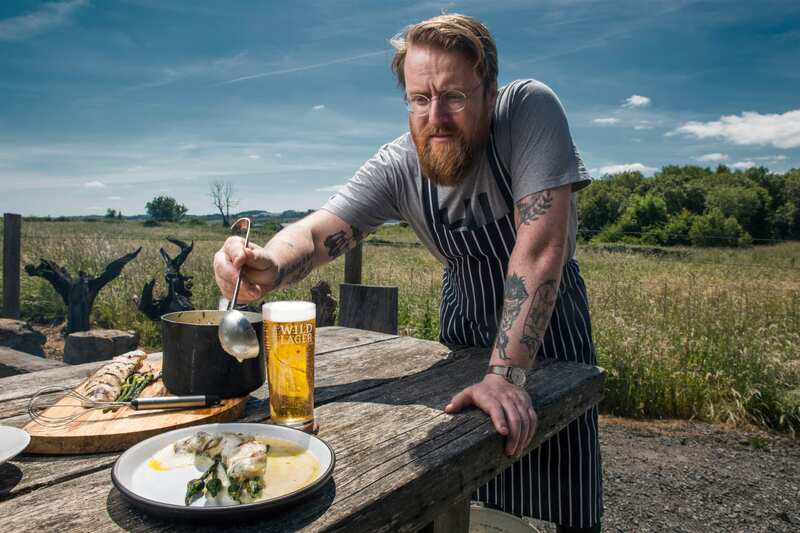 We were delighted to taste these dishes made with the new beer, by JP McMahon. 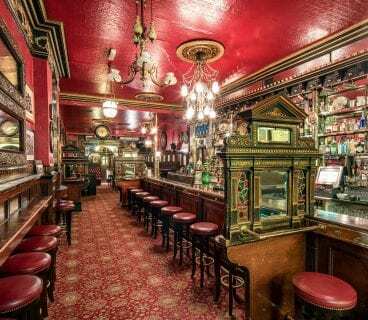 Find Wild Lager Himalayas in selected bars across Dublin. First of all JP, which is your favourite Wild Lager Beer: Himalayas or Patagonia? The Himalayas No.32, because it’s lighter and more citrusy. And even though I love beef, I’m more inclined towards the lighter side of beer. That said, both are very delicate, not too hoppy nor too rich. Tell us, how did the marriages of these dishes come together? 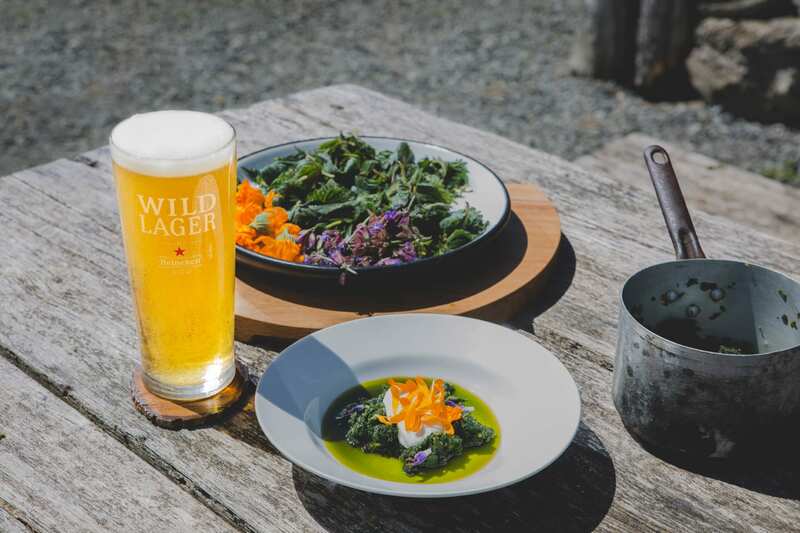 Initially, Heineken reached out to me and said they wanted to do some wild food recipes, recipes that used wild ingredients to pair with the new beers. I started thinking about what I could cook after they sent me samples and then was ready to produce. For me, my love is wild Irish food. 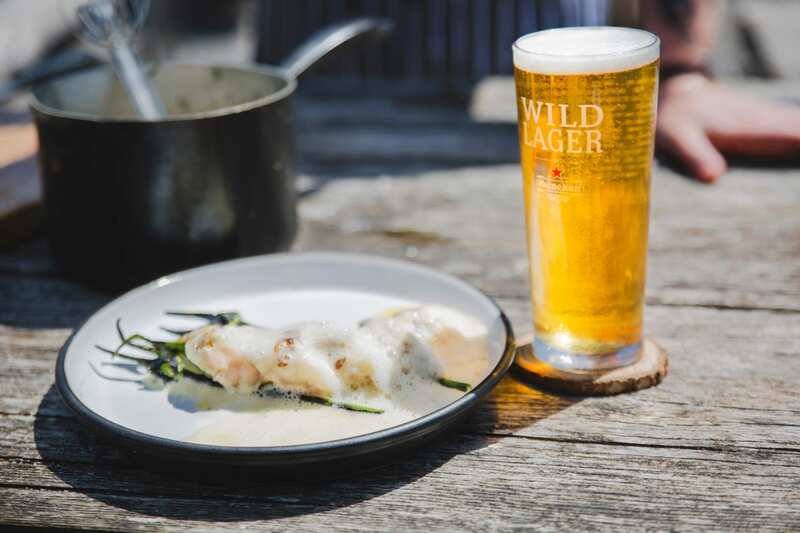 With the Himalayan beer, and its citrusy side of things seafood works best, while with the Patagonian flavours it was more about nettles and steak that are a little richer. But it was a lot of fun for me, and as we already do a lot of cooking at our restaurant Aniar with Irish cider, it was great to play around with the beer and to learn something new. I don’t cook mussels in beer every day! It’s similar to when you cook them in white wine; that when in the beer goes in and all the alcohol burns off you’ll still have the flavour of the beer, which I think works very well with the mussels. 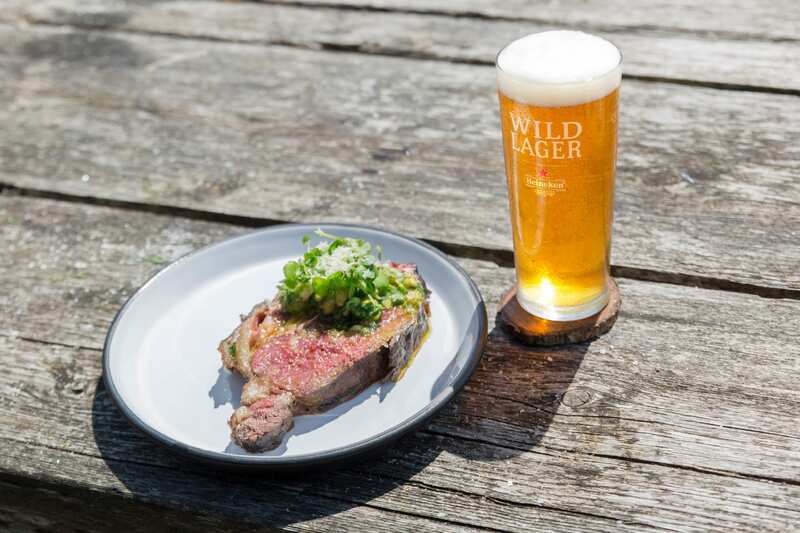 The Wild Lager Menu features great Irish produce including the rib-eye steak. When it comes to steak in Dublin, where would you recommend? That is a hard one to pick. But picking restaurants where I’ve had beautiful steak meals would have to include Delahunt and Forest Avenue, and Chapter One is a also a favourite of mine if I was getting dressed up and all that! The new Wild Lager Himalayas has hints of citrus – how would you recommend DublinTown restaurants use this for cooking? In anything that needs a citrus element, whether it’s lime, orange or lemon juice. There are a lot of different ways in which you can use it in, for example in sauces – potatoes and beer go very well together. I once made a beer sauce with potatoes, almost as a joke because we do potatoes and beer very well in Ireland, so I thought “sure why not celebrate them rather than giving out about them all the time”. But really, anything on the fish side of your menu will work well, instead of using white wine you can play around with this Heineken beer. And especially so with more meaty, robust-like fish including monkfish, swordfish or tuna, or you could put it in a salsa as a lime element. And then of course a beer batter is 100% an easy and tasty creation! As an ambassador for Spanish food in Ireland, your connection is very strong. Wich dishes of Spanish cuisine excite you the most? There are a good few, I particularly love pork belly so a confit pork belly is a favourite. Lamb tapas too, and then I always retreat to the staples like Croquetas de Jamon, tortilla and another dish I love is the Serrano Ham and Manchego Cheese combination. And they all work very well with beer! I know that most of the time wine people think of tapas, they think of wine, but tapas work compliments beer beautifully. 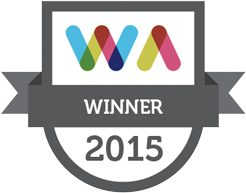 When you visit, where in Dublin do you love to eat out? For Spanish tapas it’s always Las Tapas de Lola, though I haven’t yet been to Salamanca but would like to. I really like Pichet and the food they serve there, and as for Indian cuisine it’s the Pickle restaurant. Forest & Marcy is a good little place as well. Food On The Edge is a great festival and is a lot about learning about food and where the producers come from, so with the capital, what would you like to see from Dublin Town in that respect. 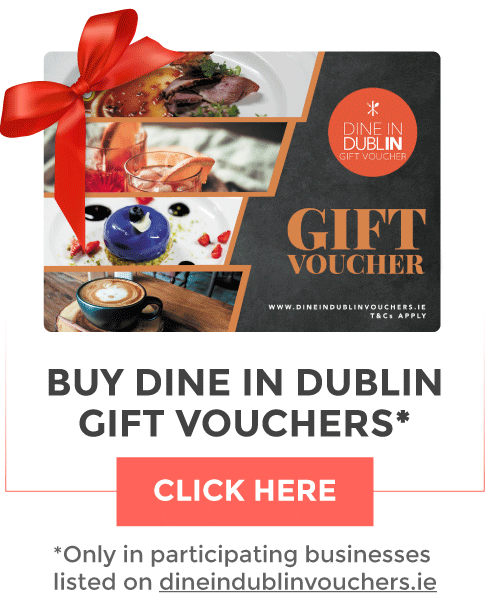 I would love to see a food festival in Dublin Town that involved all of the different restaurants. Dublin is bigger than Galway so it may be more difficult, but it would be nice to see a festival with a lot of input from the businesses there and if they all worked together. These kinds of festivals can take a long time, so it’s best to get the restaurants from the ground up. The input is necessary to make it best for the people, and that way restaurants feel they have some sort of ownership in that. 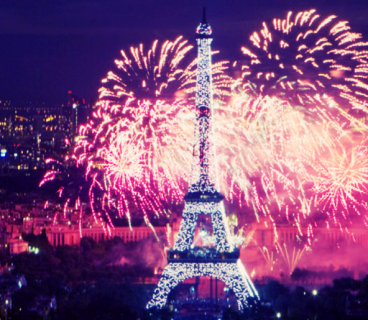 I would love to see that! It also creates a nice community feel and it brings a lot of people out, those who wouldn’t necessarily go out to restaurants or bars all the time. From food trails to putting on events for kids, it brings out the families and the young people. And what would you say do you love about Dublin Town? I always love coming home to Dublin, I have a romanticized view of Dublin because I don’t live here. Having studied Art History, I love visiting the National Gallery of Ireland, and studied English as well so the Abbey Theatre and the Gate Theatre are two of my favourites in Dublin. But I also love wandering around, it’s a really, lovely city to walk around in. And book shops as well – I love book shops! Ulysses Rare Books, I’m always in there, spending money I don’t have on books I don’t need!